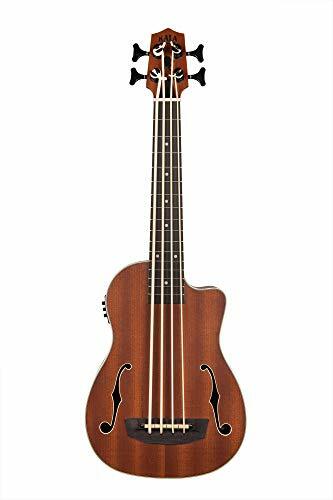 The Kala Journeyman acoustic-electric U-Bass is a gorgeous and wonderful piece of art to work with. The fine craftsmanship of this instrument makes it that much more enjoyable along with its big and warm sound. Thanks to the power of the UK-500B Piezo pickup, you are guaranteed a full and warm sound when amplified. 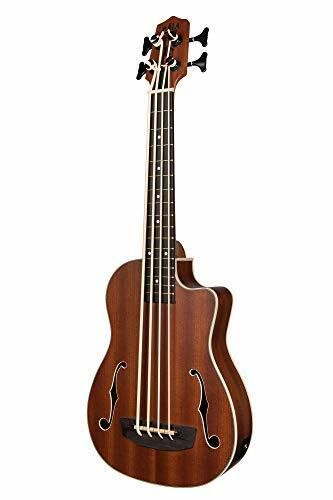 For those of you who are looking to perfect your craft and have a very solid U-Bass without breaking the bank, this is definitely one of the best options you can go to.Fine CraftsmanshipWhen it comes to the work of Kala, the Journeyman U-Bass speaks in volumes. 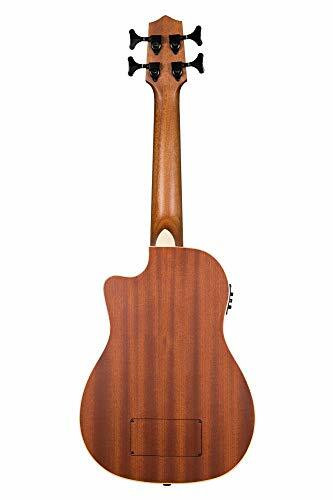 The all-around mahogany body, with the mahogany neck with a cream binding is very pleasing on the eyes. Not only is it candy for your eyes, it's also very warm in its sound thanks to the tonal frequencies given by mahogany wood. The F-holes resonate a natural reverb through the body of the U-Bass and gives it a very distinct sound. Big and Warm SoundAs previously mentioned, the gorgeous deep and warm sound we hear from this U-Bass is thanks to the handy work of the mahogany wood. With the f-holes as well on the U-Bass we can expect quite a bit more resonance from the instrument. 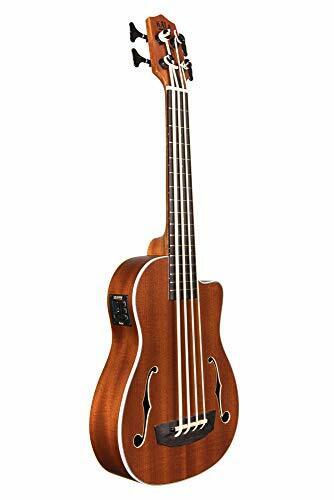 When combining the mahogany tone-wood with the f-holes, you can expect a natural warm reverb coming from the U-Bass.UK-500B Piezo PickupWith the power of the UK-500B Piezo pickup, you can amplify your tone, as well as manipulating 100% of your tone using the EQ settings on the system itself. The UK-500B Piezo pickup system is perfect for truly exploring your tone and amplifying your U-Bass to its fullest potential.Features:Mahogany Back Sides w/Mahogany Top Cream BindingVenetian Cutaway20.875 -Scale Mahogany NeckCustom Black Die Cast TunersUK-500B Piezo Pickup Includes Padded Gig BagGet your Kala Journeyman Acoustic-Electric U-Bass with F-Holes today at the guaranteed lowest price from Sam Ash Direct with our 45-day return and 60-day protection policy.